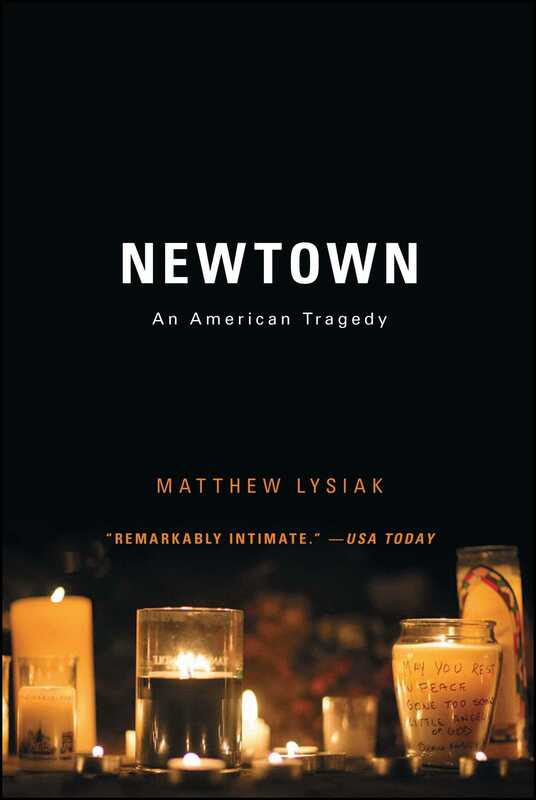 A journalist for The Daily News (New York) offers a “meticulous account of the Newtown massacre and its aftermath.…it’s been a year, and this harrowing book might be a reminder that the debate needs reviving” (Kirkus Reviews). The world mourned the devastating shooting at Sandy Hook elementary school in Newtown, Connecticut, on December 14, 2012. We remember the numbers: twenty children and six adults, murdered in a place of nurture and trust. We remember the names: teachers like Victoria Soto, who lost her life protecting her students. A shooter named Adam Lanza. And we remember the questions: outraged conjecture instantly monopolized the worldwide response to the tragedy—while the truth went missing. Here is the definitive journalistic account of Newtown, an essential examination of the facts—not only of that horrific day but the perfect storm of mental instability and obsession that preceded it and, in the aftermath of unspeakable heartbreak, the controversy that continues to play out on the national stage. Drawn from previously undisclosed emails, police reports, and in-depth interviews, Newtown: An American Tragedy breaks through a miasma of misinformation to present the comprehensive story that must be told—today—if we are to prevent another American tragedy in the days to come. For parents, the chaotic hustle and bustle of getting their children out the door for school on the morning of December 14 was amplified for two reasons: it was a Friday and Christmas vacation was fast approaching. In the home of JoAnne Bacon, the battle of the morning revolved around a tiny pink dress and a little pair of white boots. “I want it! I want it! I want it!” pleaded her daughter Charlotte, her cute curly red hair bouncing to emphasize the seriousness of her request. A color has never matched a personality as much as bright pink matched Charlotte’s. She had pink everything, including a pink dresser, and even slept in a big, pink four-poster bed. For the precocious six-year-old, pink wasn’t just a color, it was a way of life. JoAnne wasn’t having it. The outfit had been bought specifically for the holidays and was the one thing Charlotte couldn’t wear today, she argued. “You’ll just have to pick out something else,” JoAnne resolutely told her daughter. But Charlotte would not be denied. The back-and-forth continued unabated for several minutes with neither party budging until finally JoAnne, sensing she was outmatched by her daughter’s impressive powers of persuasion, realized the inevitability of the outcome: Charlotte walked out the door wearing the pink dress, white boots, and a large grin plastered across her face. There were no arguments over what to wear at the home of six-year-old Jesse Lewis; Friday morning meant breakfast at the Misty Vale Deli where, at around 8 A.M., Jesse ordered his favorite breakfast sandwich—sausage, egg, and cheese—and a cup of hot chocolate before school. It had been a late night. Jesse had stayed up to go Christmas shopping with his father, Neil Heslin, buying gifts for friends, family members, and his beloved first-grade teacher, Victoria Soto. The father and son began their evening of shopping at Stew Leonard’s grocery in nearby Danbury. Jesse had $37 in his pocket, money he had earned by helping his father set bathroom tiles and fix their 1948 Ford tractor in hopes of having it ready for the next Newtown Labor Day parade so they could throw candy from the back. After carefully surveying the aisles, Jesse decided to use his money to buy Christmas ornaments. He picked out an ornament that had the word “Mom” on it for his mother, Scarlett, and a similar one that said “Brother” for his sibling, J.T. He then picked out two for his first-grade teacher, one a star-shaped ornament that read “Teacher” and the other in the shape of an apple. “He put thought into it and was proud of the gifts he picked out,” Neil later recalled. The next destination was Walmart, where Jesse walked among the rows of toys to show his father the different gifts he hoped would be waiting for him on Christmas morning. He pointed at the Nerf guns, action figures, toy soldiers, and anything that had to do with the military. Neil didn’t think much of it at the time. Just Jesse being sweet, he figured. Besides, they would see each other soon enough, Neil thought. They had plans to make gingerbread houses together later that day in school. That Friday at the Barden household seven-year-old Daniel had some extra time before heading off to first grade. He had woken up especially early and had already played a quick game of foosball and devoured a bowl of oatmeal, so his father, Mark, decided it would be a good time to teach his son how to play “Jingle Bells” on the piano. Mark Barden, a professional musician, sat close to his son on the bench and looked down at the small fingers as they pressed down on the keys. The Bardens, like so many of their neighbors, were drawn to Newtown by the sterling reputation of the schools. They moved to town in December 2007, when Daniel was two years old, and older siblings James and Natalie were seven and five. The kids were in three different schools with three different bus schedules, which made getting everyone to the right school at the right time a challenge at times. Daniel’s pickup time was the latest and he typically slept in while Mark walked his oldest son down the road for a 6:30 A.M. pickup. But on this morning, as Mark and James made their way down the driveway in the dark, they heard the pitter-patter of little footsteps behind them. They turned around and there was Daniel, in his pajamas and flip-flops, awake before dawn to kiss his older brother good-bye. It was the first time in the three months since school had started that Daniel had woken up to say good-bye. On the other side of town, another Sandy Hook family was busy preparing for the school day and, more important, the big party. Tomorrow was December 15, the day Josephine Gay would be celebrating her seventh birthday. Josephine, or “Joey Bear” as her dad liked to call her, loved to swim, so the family was busy planning an indoor pool party with all of her classmates. They had already made the cupcakes with icing in her favorite color, purple, and all of her friends had signed a special birthday T-shirt for her to wear at the party. Joey’s classmate Emilie Parker couldn’t wait for the party either. The thoughtful six-year-old had found a very special present for her friend. Although Joey couldn’t talk, suffering from autism and severe apraxia, her larger-than-life personality was readily apparent to Emilie, who refused to be satisfied with anything short of the perfect gift. At home, Emilie put the gift for Joey in her closet, exclaiming, “I can’t wait till Saturday!” She couldn’t have been more pleased with her find. Inherent in her personality was the ability to make the most mundane tasks joyful, even when life turned stressful. When the Parker family had moved to Newtown eight months earlier, they were still grieving over the loss of Emilie’s grandfather, who had passed away that October. At the funeral, Emilie, a budding artist who carried her markers and pencils everywhere, slipped a card she had drawn into his casket. Making cards was something she frequently did to lift the spirits of others. “She never missed an opportunity to draw a picture or make a card for those around her,” her father, Robbie, recalled. The Parker household was a place of love, affection, and constant learning. That December morning, Robbie had been teaching Emilie Portuguese before he left for work. Just before he walked out the door, Emilie looked at him and said “I love you” in Portuguese before giving him a kiss good-bye. With Christmas only eleven days away, many children had already caught the Santa bug. And Jessica Rekos’s Christmas wish list focused on one thing: horses. The six-year-old loved everything about the animal. She had been taking riding lessons at Kings Bridge Farm in Newtown and devoted all her free time to watching horse movies, reading horse books, drawing horses, and writing stories about her favorite animal. Her parents had even promised that she could have a horse of her own when she turned ten. This year she was hoping to find a pair of cowgirl boots and a black cowgirl hat under the tree. They had to be “real cowgirl boots, not ones from Target,” her mother, Krista, later recalled. With her hair in a ponytail and her favorite black glittery Uggs on her feet, Jessica marched off to school that morning not knowing that her parents had already fulfilled her Christmas wish and purchased her a pair of the prized boots. Not every child was focused on Christmas: Benjamin Wheeler was focused on his future ambitions. Before leaving for school, the six-year-old wanted to convey an important message to his mother about his future: “I still want to be an architect, but I also want to be a paleontologist, because that’s what Nate is going to be and I want to do everything Nate does,” Benjamin said, referring to the older brother he idolized. That Friday started out as equally happy and normal for so many other animated six-year-olds. The bright yellow buses crisscrossed through the narrow winding streets picking up students throughout the community on their way to Sandy Hook Elementary: James Mattioli, Ana Marquez-Greene, Catherine Hubbard, Noah Pozner, Jack Pinto, Allison Wyatt, and Chase Kowalski. Chase, a budding triathlete, came from his room wearing a green long-sleeved shirt, black sweatpants with a gray stripe, and black L.L. Bean shoes; his mother looked her mismatched son up and down before complimenting her “funny little guy’s” sense of style. “Hmm, nice outfit,” she told him. The shy and tiny Madeleine Hsu, who always wore colorful flower-print dresses, and Caroline Previdi, an outgoing girl with beautiful green eyes, said their good-byes then hopped on the bus. Grace McDonnell skipped to the bus stop, unable to contain her excitement about getting to school. She always waited at the meeting point with her mom, Lynn, and the two of them would blow kisses to each other as the bus pulled away. That Friday morning, Grace added a pouty face for effect. Dylan Hockley loved to run to the stop, too, playing tag with his neighbors along the way. Before the bus pulled up, he kissed his mother, Nicole, good-bye. Avielle Richman also waved good-bye to her parents after boarding the bus. Her mom, Jennifer, was standing on the porch and her dad, Jeremy, was in the driveway. Avielle flashed her gigantic grin as the driver pulled away. And there was no suppressing Olivia Engel’s joy either as the hours counted down to one of the final weekends before Christmas. After school, Olivia, who was active in her church’s CCD musical program, was going to make her stage debut in the live nativity at St. Rose of Lima Roman Catholic Church in Newtown. Olivia was going to play an angel.